Dephonix first heard the sound of Beaks on Annie Nightingales Radio show in 1994. In its most organic form then she has followed the sound from its roots to the Nu Breaks sound of today most recognised for syncopated beats and highly processed bass lines. 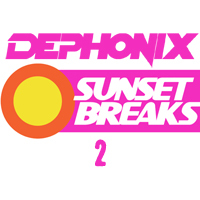 Favouring the whole spectrum of the sound Dephonix plays what she refers to as 'Atmos Breaks' (deep breaks) and also the chunky tear-out sound. As a reference to her roots Dephonix sets have an earthy feel with basslines that rumble & pulse in key with your heartbeat.